Ilmari Tapiovaara (1914-1999) is an important step in the development of Scandinavian design during the 20th century. After working with Alvar Aalto in London and Le Corbusier in Paris, he had Eero Aarnio and Yjrö Kukkapuro as assistants. 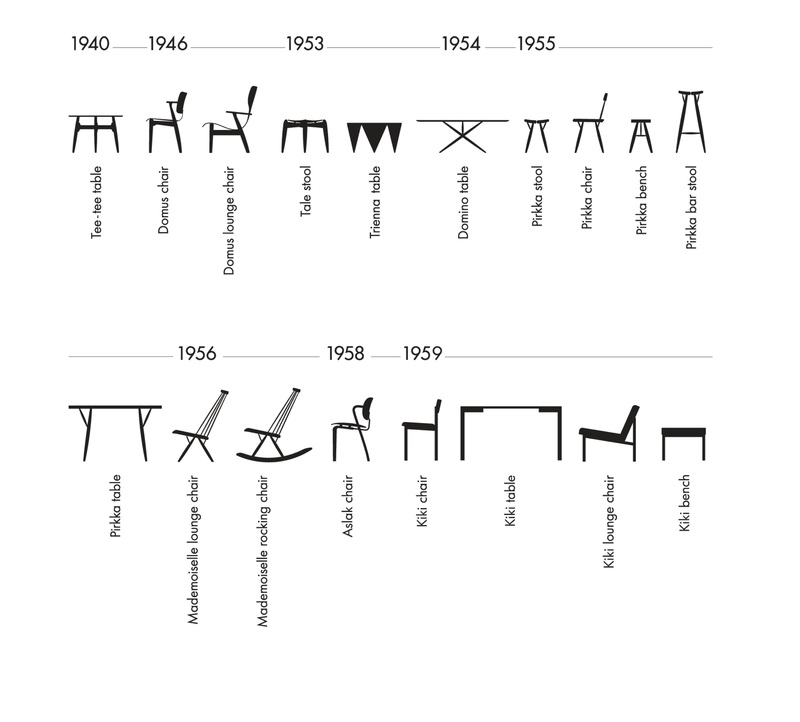 One of his main focuses was the search of the optimal multi-purpose chair, like the Domus chair (or Finn) he drew for the student residence Domus Academica in Helsinki, which was used as office, conference and meals chair, while being stackable. From 1951 to 1960, Ilmari Tapiovaara received no less than 6 gold medals at the Triennale in Milan, more than any other designer. His furniture is now produced by Artek, which gives it an new international visibility. Materials Table top solid birch lined by plywood and surface veneers – Frame solid wood oak or walnut. Dimensions H430 x L1200 x W600 mm. Tabletop thickness 2.5mm.